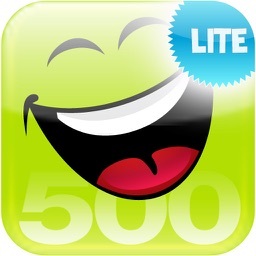 Funny 500 - Knock Knock Jokes Lite by HeavyLifters Network Ltd. 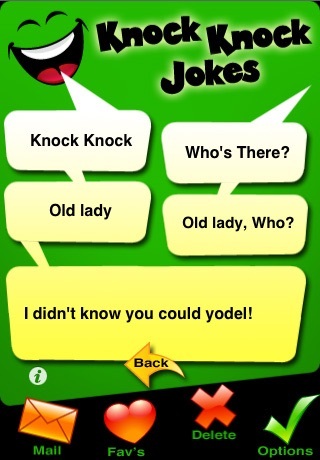 Cherished and practiced for centuries, knock knock jokes have become a traditional style of role-play exercise. Knock knock jokes are typically geared towards children and young adults, but that's only because they're short and simple with an effective punch line. Who doesn't enjoy a good pun? 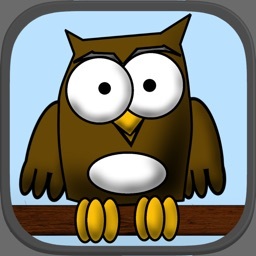 Funny 500: Knock Knock Jokes allows you to mark your favorite knock knock jokes as favorites, compose your own knock knock joke, and even email any knock knock joke to your friends. 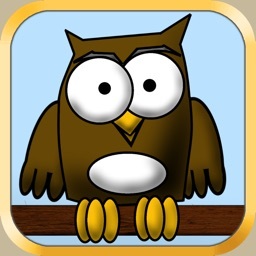 You can also run a search on all existing knock knock jokes so that you can find specific knock knock jokes more easily. 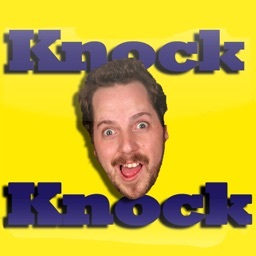 Words you might associate with Funny 500: Knock Knock Jokes are: knock knock, jokes, joke, fun, funny, pun, punster, riddle, riddles, clever, obscure, tricky, conundrums, brain teaser, humor, humorous, family, kids, children, punch line, punchline. 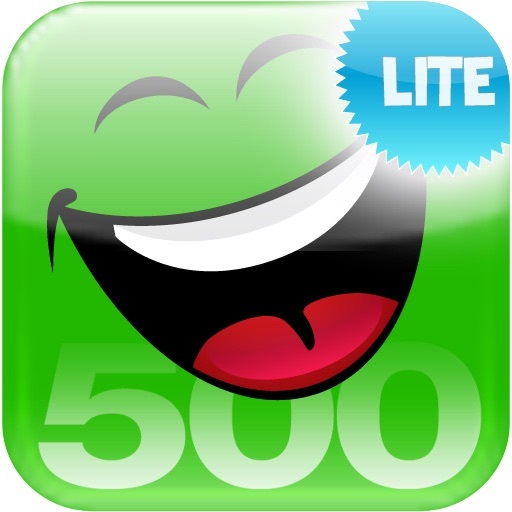 If you like Funny 500: Knock Knock Jokes, chances are you will also like: Funny 500: Riddles, Monkey Bowl, King Pin Bowling, Funny 500: Pickup Lines, Funny 500: Insults and Putdowns, Funny 500: Famous Quotes, Funny 500: Famous Quotes, Funny 500: Fun Facts, 15000 Baby Names.